Paper dolls depend on a small stand connected to their base to support them during playtime. Most store-bought or online paper doll templates come with a stand, but keeping track of a tiny piece of paper can be difficult for even the most vigilant of parents. If your child has lost her paper doll stand, you can quickly create a replacement stand using some cardstock and a pair of scissors. Measure the base of your paper doll. When you punch out your paper doll, it should have a straight, solid base between its feet. If you made your own paper dolls and removed the paper between the feet, measure from foot to foot. Cut a piece of cardstock 1/2-inch tall and twice the width of the paper doll's base. Fold the cardstock strip in half and make a sharp crease. Cut a slit halfway through the cardstock 1/4 inch from the open end. Be sure to leave the cardstock folded for this step. This will create two evenly spaced slits. Open the cardstock. 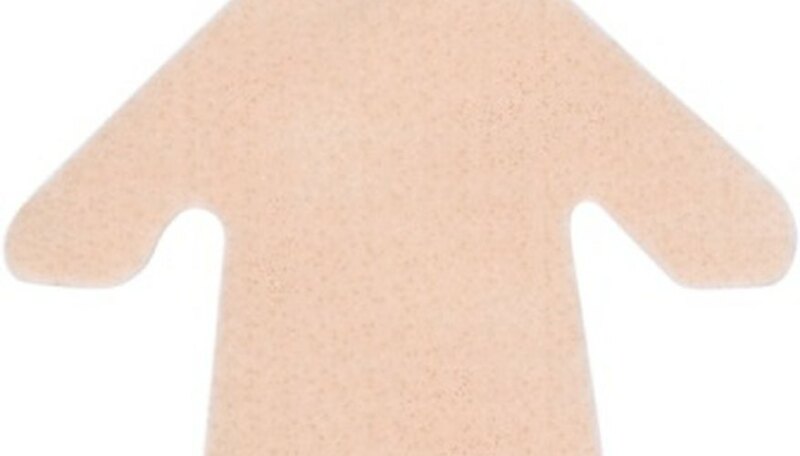 Cut small slits in the base of the paper doll if they do not already exist. Cut the slits at least 1/4 inch from the outside of the base, so the paper doll will be stable. If the paper doll has independent feet, cut the slits in the feet. Connect the card stock stand to the paper doll by sliding the slits together. Orient the stand behind the paper doll. Cardstock is a heavier paper product that is pliable enough to fold, but stiff enough to hold its shape. If you don’t have cardstock, substitute a 1-inch-tall piece of regular paper in Step 3 and fold in half horizontally before continuing. Glue flimsy paper dolls to cardstock and cut them out to make them stiffer.